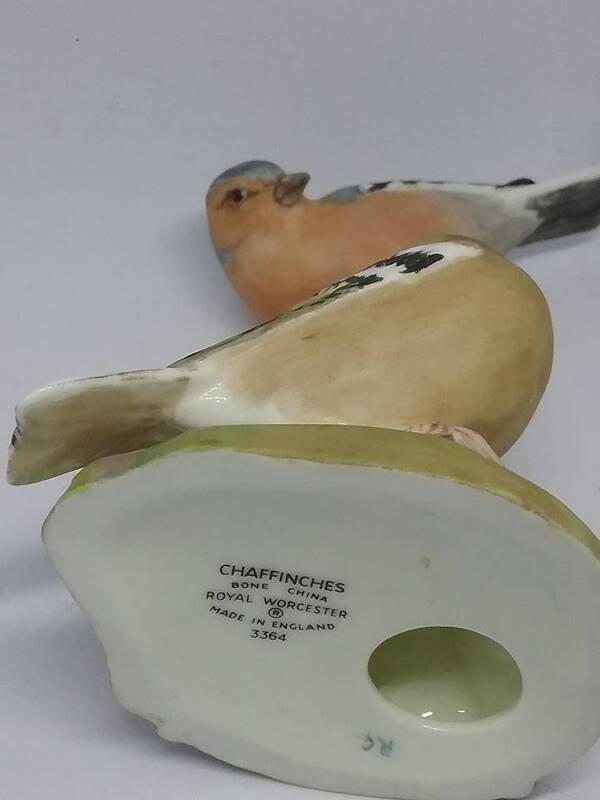 Vintage Royal Worcester Chaffinches English bone china birds, made in England. 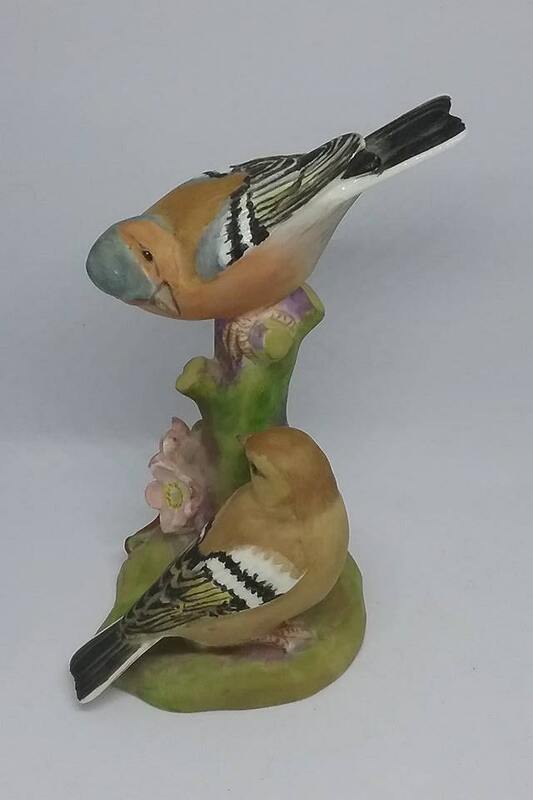 Two beautiful "Chaffinches" 3364. 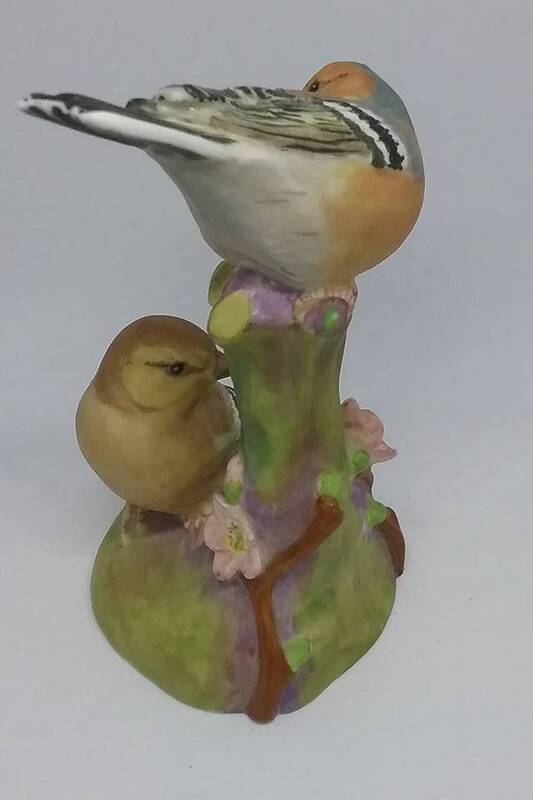 One atop a branch peers down at the other. 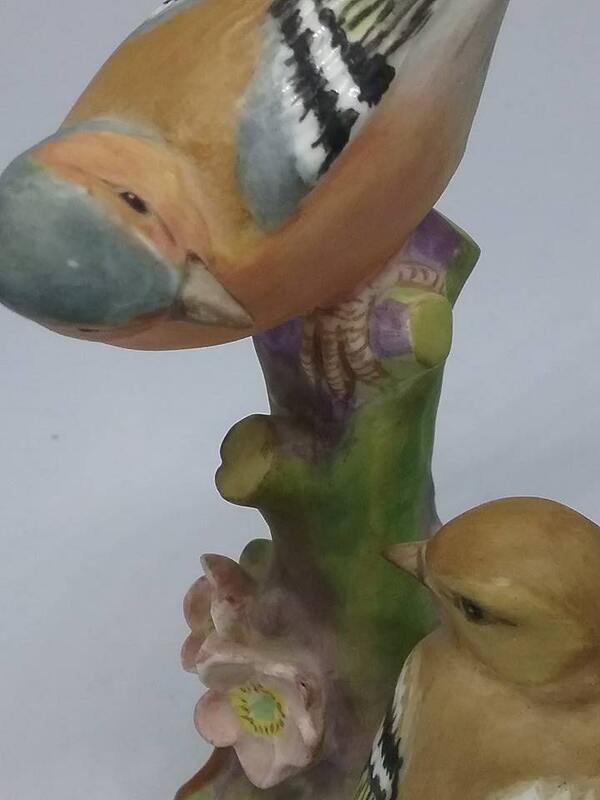 Colors are muted and varied in tone to look realistic. This piece is in excellent vintage condition. 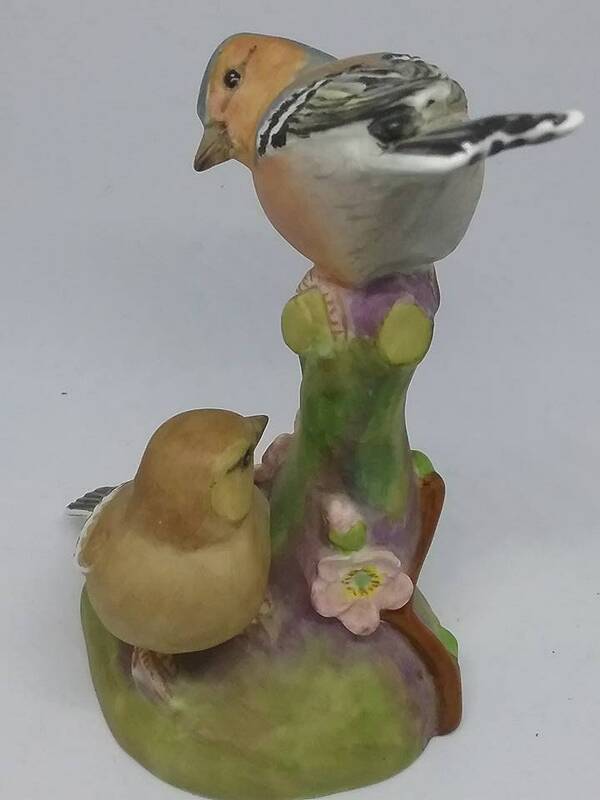 Bird watchers, collectors, and nature lovers will love this figurine. 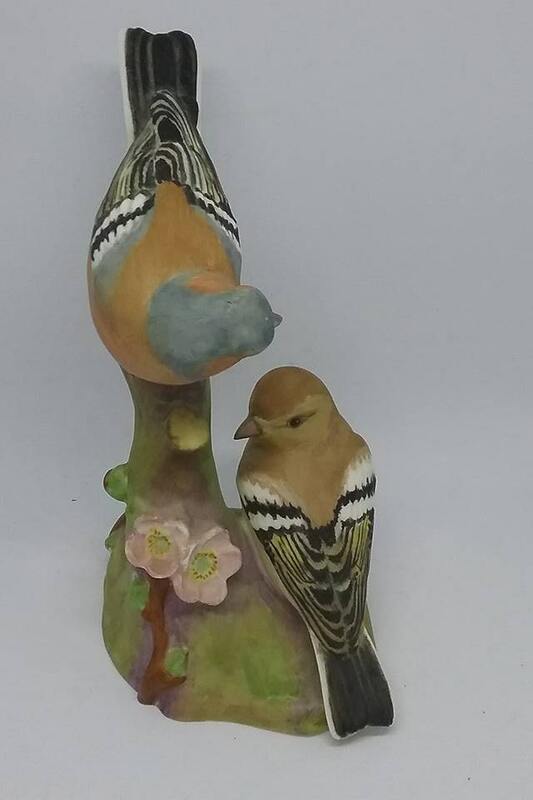 Tip of tail to bottom of base is 5".